Our on-site partner at Soles in Motion offers a wide range of medical compression socks or stockings in a variety of fabrics and colors. These stockings can be found on the legs of just about anyone: athletes, travellers, flight attendants, nurses, pregnant women, people recovering from surgery or blood clots (DVTs), people at risk for DVTs in their legs and people with varicose veins and leg swelling (edema). 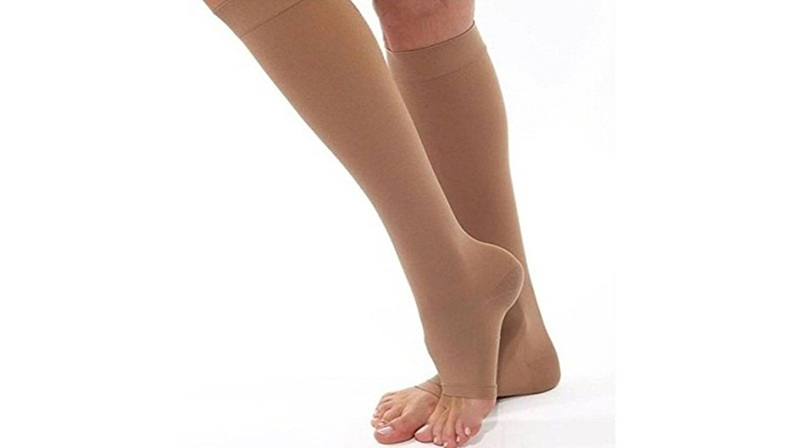 The benefits of compression stockings are dependent on wearing the stockings properly and there is plenty of evidence to suggest that many people do not. The staff at Soles in Motion are certified compression fitters who are dedicated to making sure you understand how to wear your compression garment so that you get the optimal benefit from them. Click here to visit the Soles in Motion website for more information about their Medical Compression Stocking services and products or call them at 902-468-7911 Ext #1 to make an appointment with one of their certified medical compression fitters.